While at a recent awards night, Sanya was photographed in a Rohit Gandhi & Rahul Khanna suit. 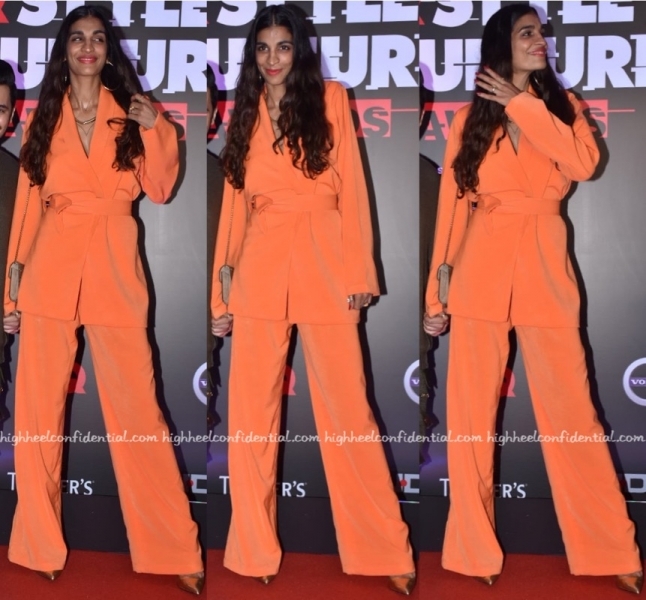 With her hair in a top-knot, she rounded out the look with Amrapali jewelry and Jimmy Choo pumps.She wore the suit well. 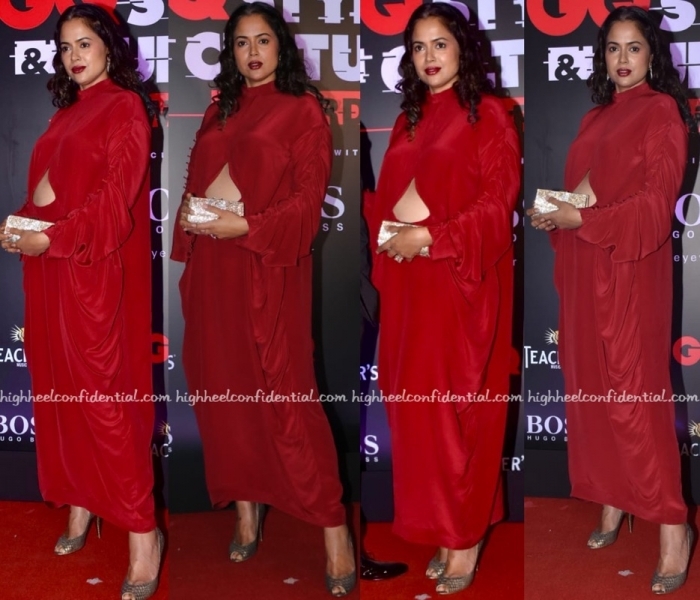 At the GQ Style Awards, mom-to-be Sameera Reddy put in an appearance wearing a Kallol Datta draped dress that featured ruched sleeves and a cut-out. Wavy hair, red lip and sparkly accessories rounded out the look well. She cut a striking picture on the red carpet; I loved it.